1. 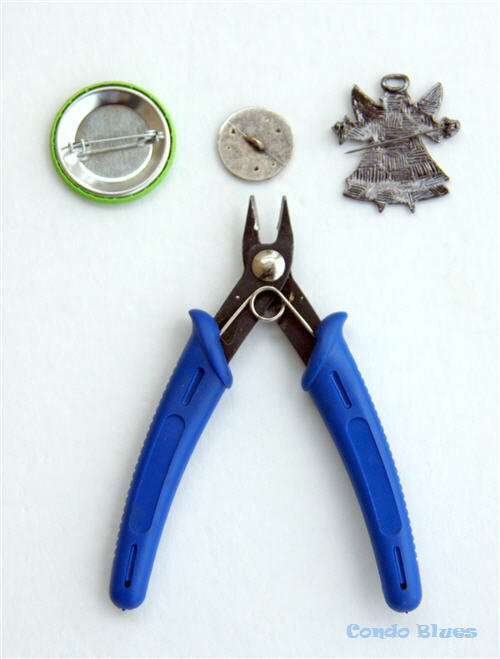 Use the wire cutters to remove pin backs or button shanks so you have a flat surface if needed. 2. 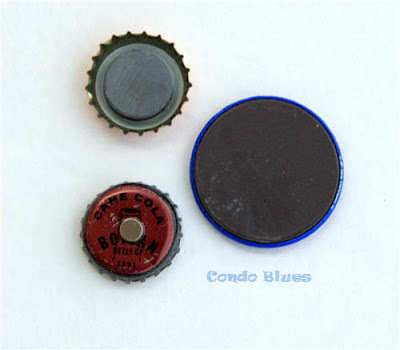 Use the E-6000 glue in a well ventilated area to glue a magnet to the back of the needle minder and allow the gllue to dry. If you use a refrigerator magnet like I have this step is already done for you. 3. 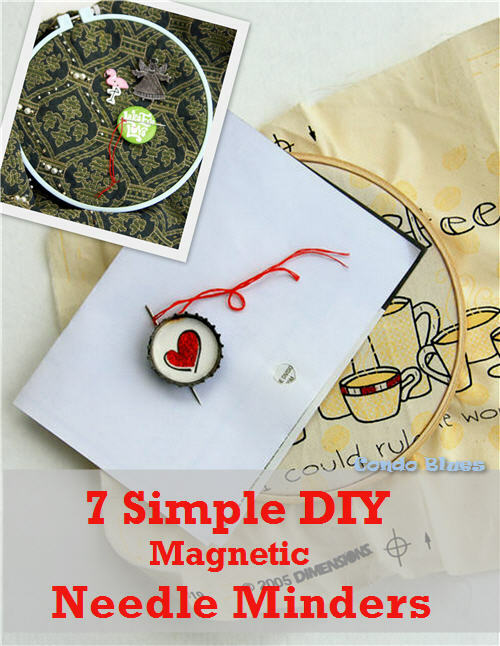 If you are using very small magnets to make your needle minder, you may want to repeat Steps 1 and 2 to create a larger magnetized back for your needle minder. You won’t want children or pets to accidently swallow small stray magnets! 4. Bling our your stopping space! 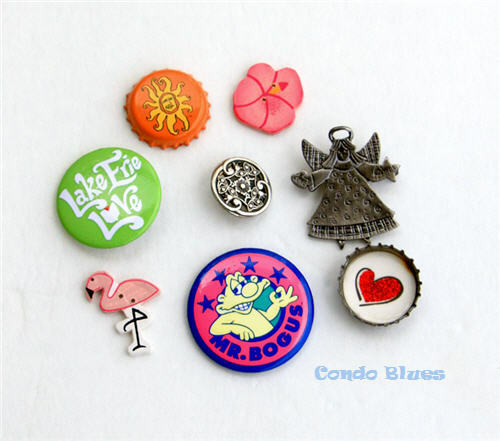 The fun thing about this project, is you can use just about anything to make the top of a needle minder. Your ideas are only limited by your imagination! 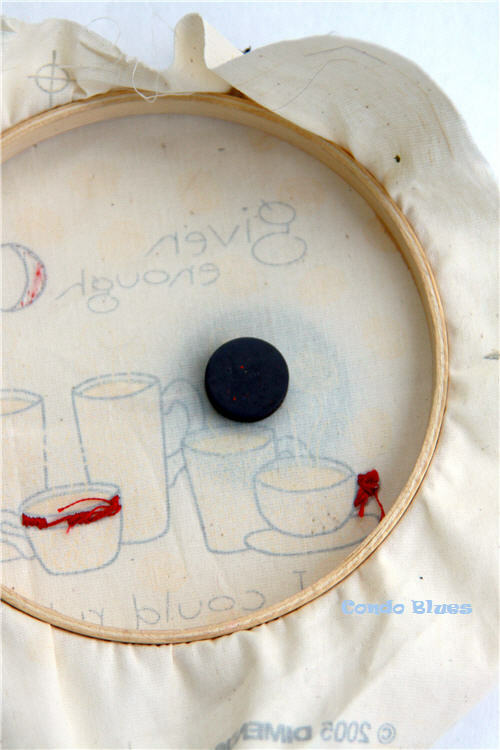 Place your hooped embroidery fabric in between the front and back magnet needle minder pieces. I didn't cover the back magnet since it fairly large. 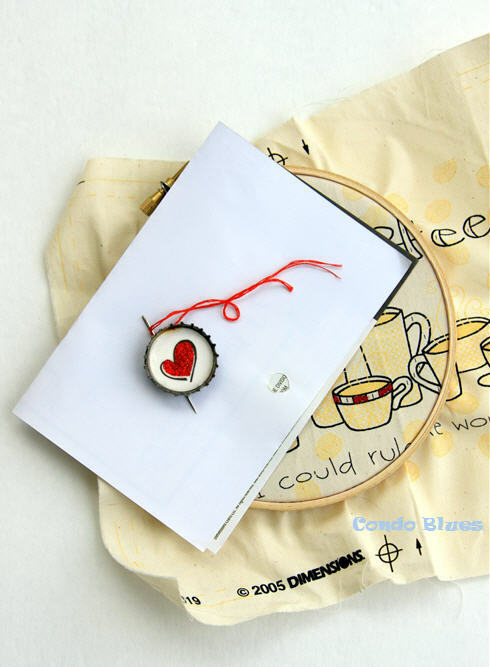 Attach your needle on top of the needle minder magnet or on the side depending upon the design of your needle minder. You can also use the magnet to organize patterns and charts with your work as well as the needle. 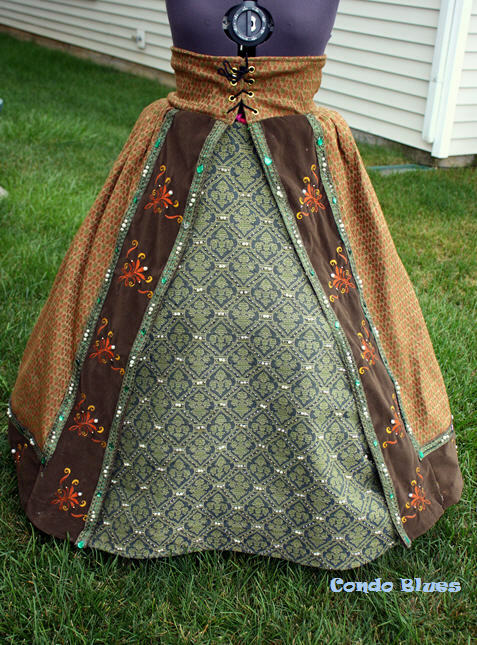 Here’s the finished beaded skirt. It took forever! That's a whole lotta beads! If you'd rather buy than DIY, check out the following ideas - and more!- below!